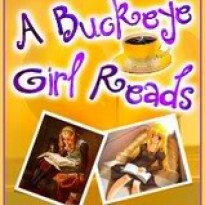 Hannah Novak runs a bed and breakfast with her two best friends. They make a bet to see who can land a man first-the loser has to clean the toilets for the rest of the summer. Hannah is almost positive she's going to lose this bet. After all she's the only virgin she knows at the age of 24 and has no idea how to seduce a guy. Then comes Zach Thomas, one of her friends brothers checks in at the B & B. He's an undercover cop who is just recovering from a gun shot wound and knows that time spent in his hometown will be just the place to relax. When Hannah checks Zach in & there are no available rooms for him to stay in, she realizes she just might have a chance at the competition-she's always had a crush on Zach, and what better time is there to act on it then now? She offers to let Zach stay in her apartment until a room becomes available. She then sets out to seduce him, but the question is how? After getting advice from her brother (which failed) and her friends (which also failed) she's beginning to lose hope that he's even attracted to her. Little does she know though, that Zach is attracted to her, but is fighting his feelings for her.They finally cave into their feelings, but will they be able to admit that what they have together is much more then just a fling? I was looking forward to reading this book because I really loved Jill Shalvis' baseball series, and wanted to see what her older stuff was like. Her writing has greatly improved since this book! I thought this was just an ok read-the problem I have with harlequin's is that they are so formulaic that you pretty much know how the book will end and what's going to happen next. This book is perfect if you want something that's short & sweet., otherwise I'd skip it.